It's the height of summer, which means that you're hopefully going to be spending some time out on the town. And when you do, you'll surely be taking your mobile device out with you, playing some portable video games. It means that animals will be romping about in the sunshine—bears, bees, birds, and maybe some other things that begin with "B." 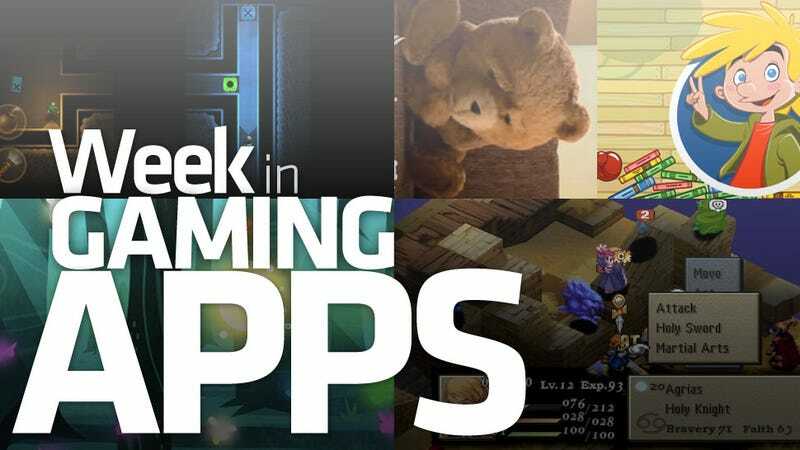 And so, many of those animals turned up in our many gaming apps from the week. Well, the birds didn't so much factor, but Angry Birds maker Rovio has got a new game, so I've got birds on the brain. Was that a circuitous enough route for you? Sorry, I'm filling in for Mike. He's much better at this than I am. I'd play some Final Fantasy Tactics on iPad to clear my head, but Jason has me up in arms about the price. Oh, Square Enix. You app-store-overcharging rascals, you. If you grew up in certain parts of the country, you've no doubt got some fond memories regarding fireflies. A cool summer's dusk, the stars just starting to be visible, the chirping of insects-and flashing lazily about, the lights of fireflies.